The spine plays the crucial role of supporting the human body, from up to the skull and down to our feet. It takes beating over the years and is prone to injuries such as bulging discs. This injury is characterized by back pain, numbness and weakness. 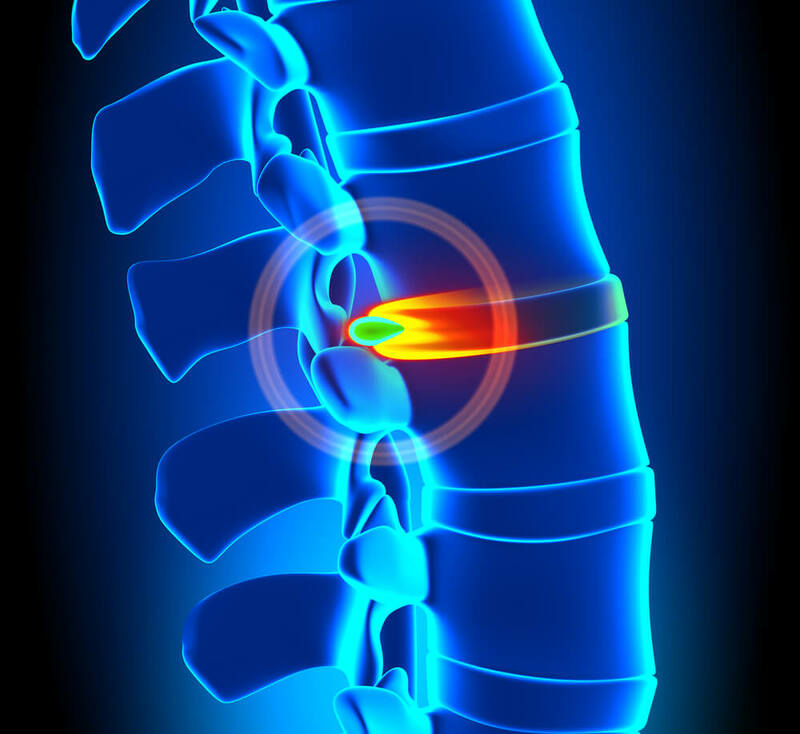 North American Spine, a network of US physicians specializing in the human spine, explains that a “bulging disc results when an intervertebral disc, which serves as a cushion between the vertebrae, loses its typical shape and compresses the spinal cord and/or nerve root.” This condition is often interchanged with herniated disc, another spine disorder that is characterized by a tear on the annulus or the disc’s outer structure. What Are the Causes of a Bulging Disc? Lifestyle and genetics play a huge factor in developing a bulging disc. Do you have a sedentary lifestyle? Does your family have a history of spine-related illnesses? Does your job include a lot of heavy lifting? If you answered “yes” to these questions, you are a likely candidate for bulging disc and might want to have your spine checked by a specialist. According to Cobb Chiropractic Injury Clinic of Greensboro, a chiropractor in Greensboro, NC, there are many symptoms of a bulging disc. They include varying degrees of pain in one or more parts of the body, such as the upper and lower back, buttocks, legs, arms, and fingers. These symptoms are similar with other bone and spine-related conditions, which is why it is important to get proper diagnosis from a physician through a CT scan or MRI. What Is the Best Way to Treat a Bulging Disc? Fortunately, a bulging disc can be treated with safe, natural and non-invasive methods. Treating a bulging disc is essential not only to alleviating pain but also to ensure that it doesn’t lead to a graver, even life-threatening, condition. A bulging disc usually takes several months to heal; how quickly you recover from this condition is a result of your choice of treatment, how well you stick to it, and other factors such as diet, lifestyle and sleeping habits. Research conducted by the American Chiropractic Association, founded by the father of chiropractic himself, Daniel David Palmer, shows that chiropractic treatment is safe, practical, and most of all, effective. Patients have shown growing preference for this treatment as it is drug-free, surgery-free and non-invasive. In chiropractic, the specialist manually “adjusts” the affected area by applying a high-velocity, low-amplitude force to correct the alignment of the spinal discs. There are different methods involved in the chiropractic treatment of bulging discs and often work hand in hand with at-home therapy that includes stretches and exercises. Physical therapy focuses on the employment of a variety of exercises to treat a bulging disc. These exercises are designed to improve flexibility, enhance range of motion, and develop better strength. This treatment also teaches postural correction through stretches, exercises, and the implementation of correct form. It is vital to seek treatment from a physical therapist and not just attempt to learn from the vast Internet world. If unsupervised and/or performed with an incorrect form, exercises and stretches can aggravate your bulging disc. Ice and heat therapy soothes inflammation, calms the nerves, and alleviates pain. In the first 72 hours, place an ice pack on the affected area for a maximum of 20 minutes. This can be repeated several times throughout the day. After 72 hours, follow the same instructions but this time with a warm compress. Proper posture in everything that we do, ranging from sitting to lifting weights at the gym, has a great impact on the health of our spinal discs. Make an effort to correct your posture and you will begin to notice a significant relief from pain. A lifestyle overhaul is an integral part in ensuring the health of our spine. In fact, chiropractic treatment works best if complemented by a change in lifestyle. These changes include a wide range of our habits and behavior such as sleep, diet and daily activities. Forge an active lifestyle to keep the body’s mechanisms working smoothly by enrolling in a gym or taking up a sport. Switch to an anti-inflammatory diet to get rid of pain and take care of your joints and muscles. Include a lot of green leafy vegetables, healthy fats and clean proteins such as wild-caught fish. Get enough sleep during the night and take power naps during the day if necessary. Can I Use Contact Solution as Eye Drops? What Is the Difference Between Sparkling Wine, Prosecco, and Champagne?